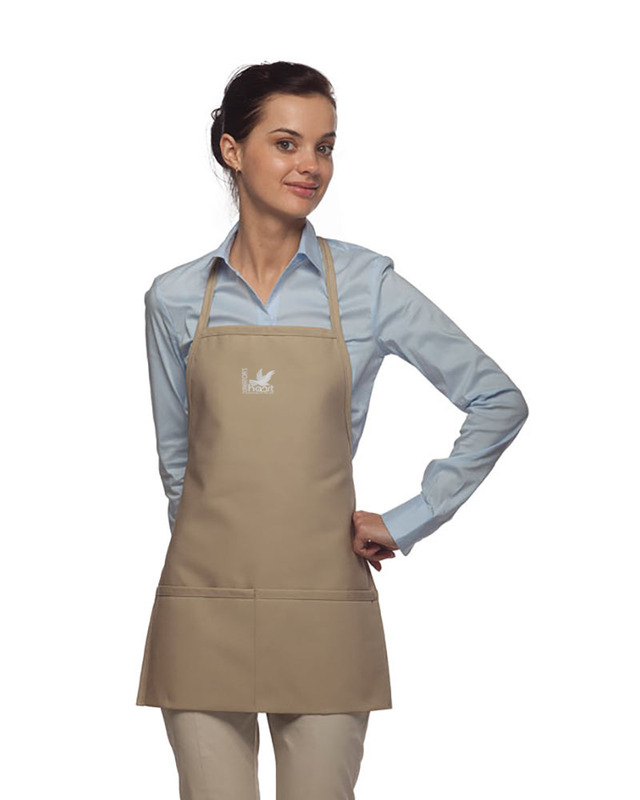 This low hip-length, American Made Daystar apron was designed for restaurant use, but works great at home or on the job! Made from a 65/35 poly/cotton twill blend, this apron is specifically designed to resist stains. It also features a non-adjustable neck strap and two divided front pouch pockets, perfect for easy accessibility to your most important utensils. Measuring 22" long and 18" wide and available in a variety of colors, this apron is the perfect fit for any kitchen or restaurant outfit.